Fashion no longer remains a far cry for people staying in tier II and III cities as access to fashion brands is equally possible here as it is to a customer in a metro. Thanks to the internet revolution and the subsequent growth of e-commerce in the country, a woman in a tier II city can today bring her fashion quotient at par with that of her counterpart in a metro. Fashion these days has become versatile across the country, with fashion brands like Nike, Puma, Aldo, Woodland etc. entering tier – II & III cities, if not through brick & mortar stores but through e-stores. With e-commerce seeping into every nook and corner of the country, new age online shopping sites are heading towards making high-end brands accessible to customers in these towns, which hitherto has not been possible. Industry experts point out that with people becoming more used to the convenience of the internet, online shopping is seeing higher growth in these places. Also, they are exhibiting more willingness to make purchases online. Though the country’s online shopping industry is still said to be at a nascent stage, it is expected to do a whopping 1,500 crore business over the next two years. 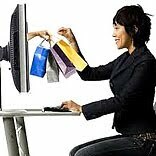 According to the latest IAMAI – IMRB Report on Indian E-commerce Industry in 2011, personal products market which includes products like appparels, jewellery, footwear, bags, cosmetics etc. holds 19 percent share of the total e-commerce business in the country. While the demand of apparels contribute 35 percent share, followed by foot wears with almost 20 percent, jewellery enjoys a significant 10 percent share and the rest 35 percent contributed by bags, clutches, accessories etc. The report also reveals that online shopping of high-end fashion and personalised products has also been possible with flexible payment modes such as cash-on-delivery being used widely nowadays. Seeing huge potential in the e-tailing market, early entrants like Shoppers’ Stop, Globus, Gitanjali and Futurebazaar are also looking at expanding their online presence to rural India. The share of revenues for online retailers from these markets is also on an increase given the growing propensity among the customers to buy online. Interestingly, even retailers operating in niche categories are quite optimistic about the burgeoning Indian e-market. So it should not be a surprise anymore if a tier III customer is found wearing a Puma or a Nike label the next time. It can be summed up in a very simple way; tier II & III cities are slowly evolving, especially when it comes to fashion and that they are going really high in adopting new trends in fashion. This can also sound quite interesting to new brands which have not yet explored these areas in search of business. A new fashionista is hence in the making. How small companies can compete with Flipkart and Amazon? How milk-subscription based businesses are exploding with growth?